Gears of War 4 fans should an keep an eye on the game’s official website in March. The Coalition will be rolling out a series of Gears of War 4 Legacy Characters next month, including the highly demanded Locust Characters. As a quick reminder, TC has run a survey, asking fans what Locust character they would love to see in Gears of War 4. Judging by player feedback, it appears that Skorge is the most popular choice. TC hasn’t yet revealed what other Legacy Characters will be coming back to GoW 4 in March, but confirmed there will be a steady flow of them. Could this be suggesting that the company will be rolling out a Legacy Character each week? 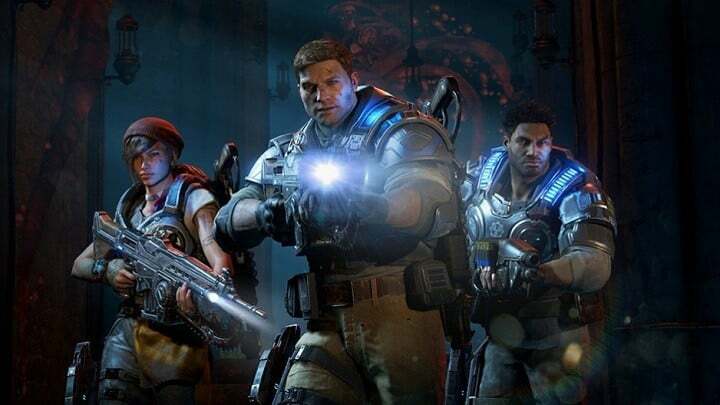 Bringing back Legacy Characters is not an easy task, as TC needs to adapt many variables to the current Gears of War 4 gameplay. The company needs to record new dialogue specific for the new features and enemies that were not in previous games, bring the characters up to modern graphics standards and more. Perhaps one Legacy Character per week is to much to ask, but one Legacy Character a month seems like a doable task. Speaking of which, what Legacy Character would you like to see next?